- I love cheap and free offers - especially when it comes to magazines. I already shared Glamour's super cheap deal last week, so how excited was I to come across this free offer on Being Red?! 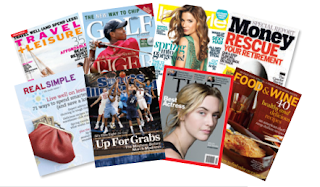 Time Inc. will send you five issues (in print or digital form) of your own customized mag - called MINE - with a selection of articles from five of eight different titles: Time, InStyle, Money, Travel + Leisure, Golf, Real Simple, Sports Illustrated and Food & Wine. Granted the content is from previously published issues, but did I mention it's five free issues every two weeks? My magazine will contain a mixture of style, time, simplicity, leisure and sports. What about yours? 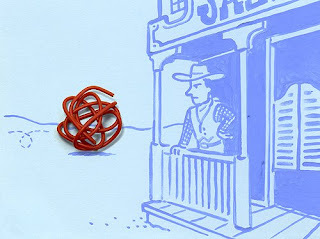 - New York Times blogger Christoph Niemann has a new post! Can you say finally? - Apparently Toby loves the taste of couch foam better than his puppy chow. The fur-fool has been eating the inner lining while I'm away! At least he's discreet with his destruction because it's underneath the cover, but still ew. Has he no taste buds?? - Paula Abdul makes me laugh. I should start watching American Idol again just for her antics. - Looking for cheap booze? Well if you live in NYC, Chicago, Honolulu, Miami, San Fran or LA check out myopenbar.com for a list of places offering cheap or free drinks each day! Oooh bad puppy! Time to find a way to lock him up in the kitchen during the day. Morning...awesome information! Loved the letters to husband - espcially the levels of a hangover! Had to share it with friends. The blog re: cheap drinks --- send to Detroit!!! I hope he learns the sofa is for laying on (and leaving dog hair on) and its not for eating. My folks had a dog that took years to break his chewing habit. We finally just gave him a rawhide bone once a week and that tired his jaws out (or something). senior citizen gospel singers who sing hip hop? ughh never seen that before. earth? that vid made me warm in then inside. and I know all about store going out of bussiness, the kroger next door died las month and the last day everything was a dollar! toby looks so proud of his "accomplishment"! I agree with LadyStyx, it might be time to pen Toby to one area of the apt that doesn't include the couch, lol. He definitely doesn't show any remorse for chewing it. Such a tragic story about Natasha Richardson. I was really hoping the initial reports weren't true, and that they'd find a way to help her once she was brought to the U.S. I like that picture of Toby, with his hind leg sticking out. And you are so cool about his chewing! My husband would be so mad! Pesto chewed on my power cord. Good thing I have spares. He's growing his adult teeth. Is Toby? ladystyx, that will be hard since my kitchen area and living room are one and the same. caren, isn't it so cute?! And you should def e-mail the people at the site to take it there too. intense guy, I mean he has a bunch of chew options (toys, bones, etc), but I think he goes for the couch when a certain chew toy rolls underneath it because every time I get home it's under there and he obviously can't get to it. franco, yeah the going out of business thing is running rampant all over the country. On one hand, we get to score great deals, but on the other it's scary how many stores (big and small) are suffering right now. chicagolady, I think I'm going to start pushing the coffee table up against that one corner he gets too. Hopefully that'll stop him and won't have him turn to another spot. And yeah, it was so so sudden and what's sad is that she felt fine at first and it worsened so quickly. sugarlens, yeah, I mean what's done is done and I can't punish him hours after the act. I just stop him if I see him and now I'm going to block that spot when I'm away. When I took him to the vet in January, she told me his adult teeth were in, but I don't know if they're all in. He's seven months old, but I don't know when puppies are done with their need to chew. Then again I don't know when puppies stop being puppies. I was saving my blog reading catch-up until this evening when the kids are in bed, but since you mentioned the pic on the blog over there at FB...I had to come see. LOL Yup, definitely just changed that "pup" question/answer back to NO. Thanks for the help. Where you find the time to find interesting things to tell us about I will never know. All I ever give is the crap in my head....how terribly boring. Hey glad I could help with that. I know you've done wonders with my whole baby thing. And anything I "find" and blog about are things I happen to stumble upon via online places I frequent or things friends/family send me. Trust me, there is no active searching going on here. 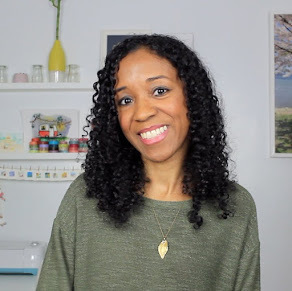 I sometimes wish I had the time to post cool products and sites and cute finds, etc but then I realize that 1) there are tons of blogs that already do such things, 2) they usually find it through other blogs or sites and 3) if I had the time to do that would I seriously use it to do that?! NO. My dog likes to eat that foamy stuff too. Be careful because it can make him sick. Poor Toby, he's a baby he's just learning. They have a spray in petshops that supposedly tastes horrible, so you can spray a little there so he doesn't chew it up. anonymous, I knew that stuff couldn't possibly be good for them. Why do they like eating gross stuff anyway? heidi, Can I spray it on everything as a preventative measure?! I am so ridiculously excited about Disney Earth! And, I'm with you on Paula Abdul. I often wonder what kind of meds she's on. I just the Dear Husband Blog. Wow how insane.....and I like it!